Out with the old and in with the refabricated. A new program in Japan will allow Nissan LEAF owners to switch out their used, old car batteries for refabricated ones. This fee-based program from Nissan will start in May, and will charge 300,000 yen for each 24-kilowatt-hour refabricated battery; a brand new 24kWh battery costs 650,000 yen; a new 40 kWh battery costs 820,000 yen; and a new 30kWh battery costs 800,000 yen. “As demand for electric vehicles grows, the number of used batteries will increase significantly. Nissan hopes that by reclaiming these batteries, it can help lower battery replacement costs and heighten the used-car value of electric vehicles. This will enhance the electric-car ownership experience, which in turn will help promote their use, ultimately contributing to lower CO2 emissions,” reports the automaker. 4R Energy Corp. has been commissioned to perform the battery refabrication. The all-electric, zero-emission 2018 Nissan LEAF is available at three trim levels S, SV, and SL. Each trim is equipped with a 110 kW AC synchronous electric motor with 40kWh lithium-ion battery and e-Pedal system. It generates 147 horsepower and 236 lb-ft of torque. 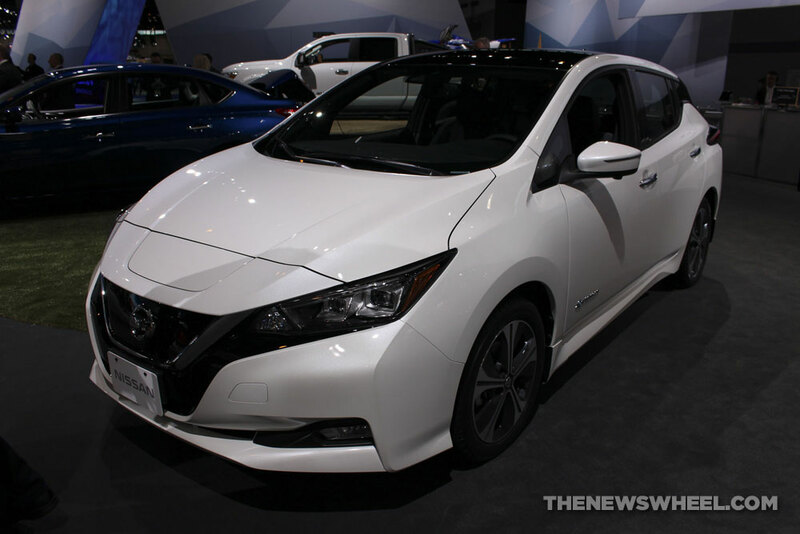 The 2018 LEAF earns 151 miles of electric range and an EPA-estimated rating of 125 MPGe in the city, 100 MPGe on the highway, and 112 MPGe combined. The 2018 LEAF features advanced infotainment technology such as the standard Bluetooth® Hands-free Phone System and available Apple CarPlay™ and Android Auto™ compatibility for seamless and easy smartphone integration. A RearView Monitor comes standard while driver assist technologies such as Intelligent Cruise Control, Intelligent Driver Alertness, and Intelligent Around View® Monitor are available features.